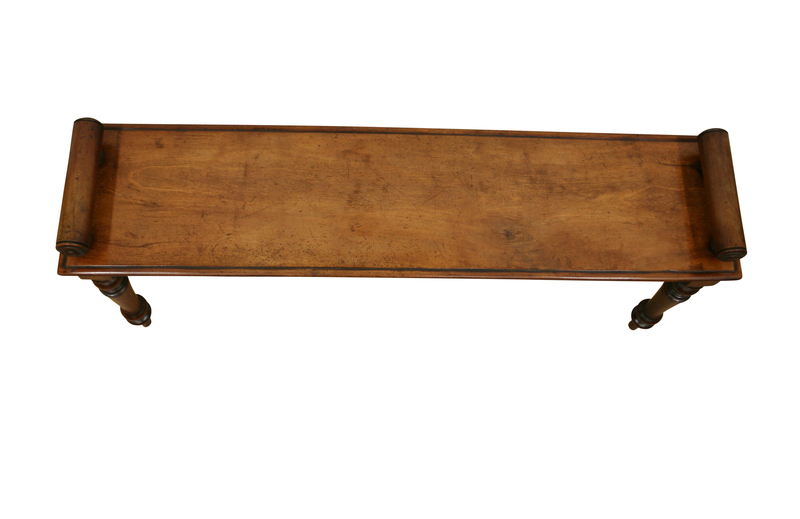 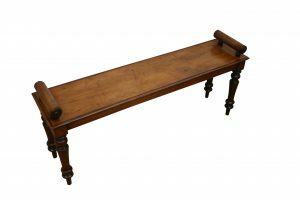 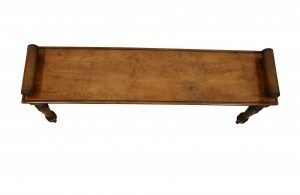 A 19th Century Mahogany window seat or hall bench. 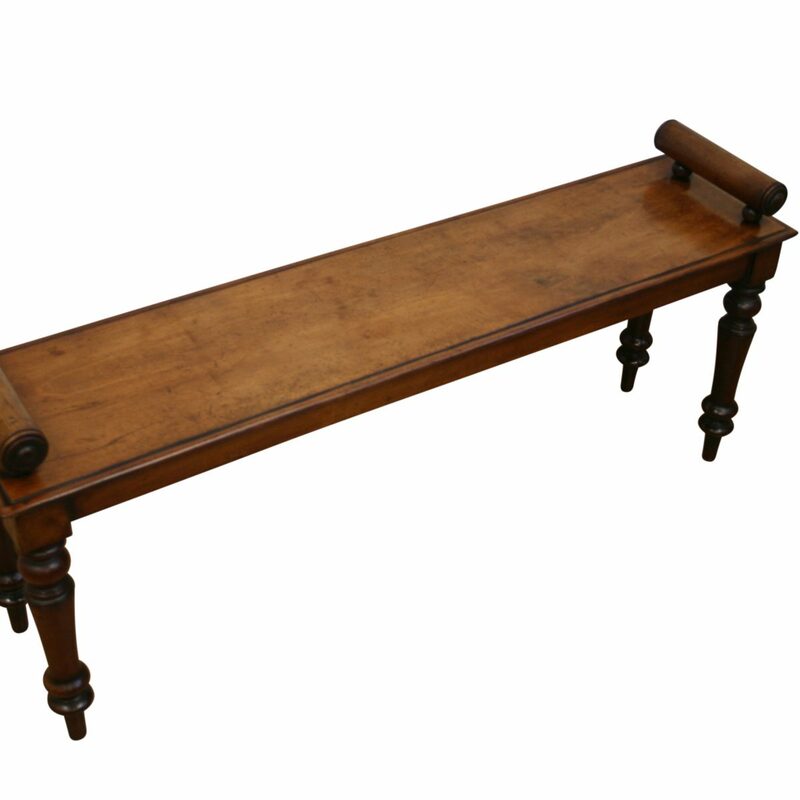 It has a single plank top with moulded edge and bolster ends. 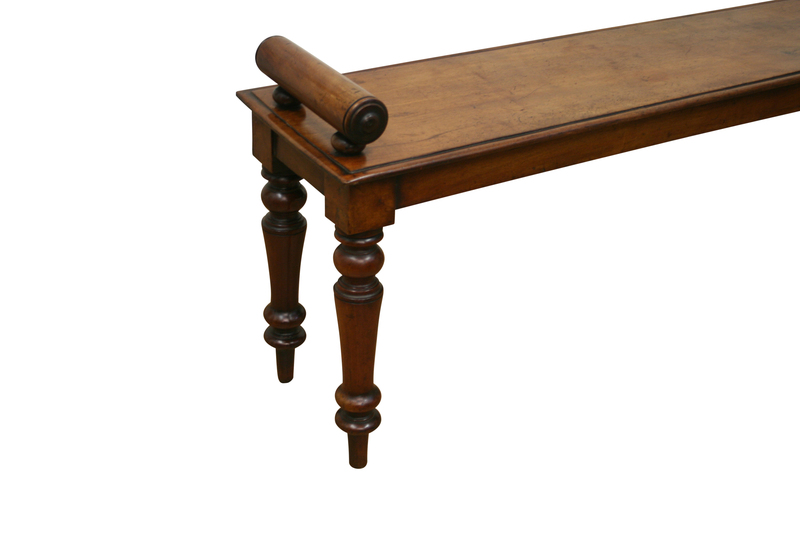 It stands on turned legs.